I caught the early evening sun on St.Benedict’s while walking from Central Railway Station to Newtown. 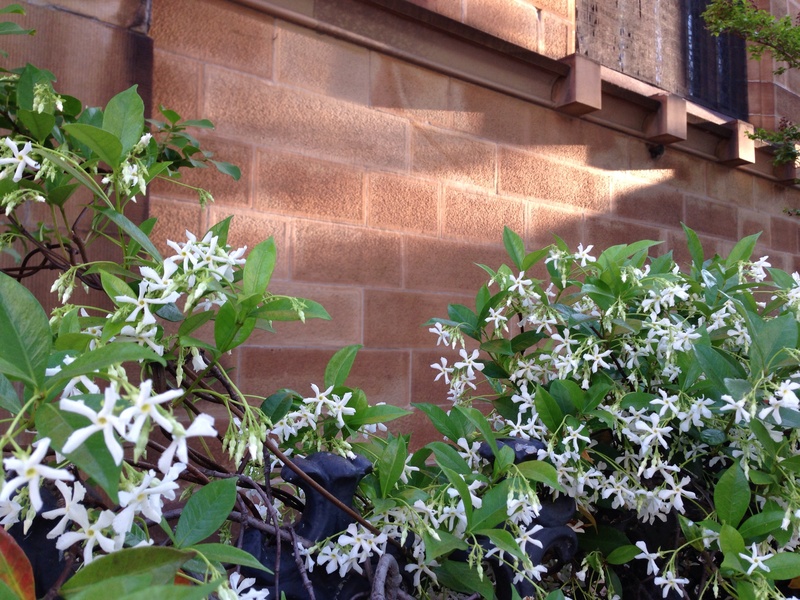 The intoxicating jasmine fragrance provided relief from the peak hour traffic on Broadway. I love jasmine too. On the route I take with my dog every day, there is a long row of jasmine bushes that outline a corner building. When it’s in bloom, you will often see us stopped at this corner, my dog sniffing the grass, me sniffing the jasmine. I’d love to line my patio with it one day.